There has been a lot of heated discussion over Toronto ousting Chicago as the fourth most populous city in North America. Breaking it down in terms of numbers, data from the US Census Bureau and Stats Canada show that the population of Toronto sits at 2,791,140 which beats out the 2,707,120. An article in the National Post outlines the possible ramifications that are associated with high growth. 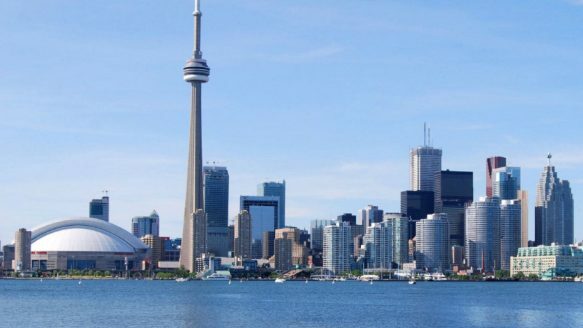 Toronto has been experiencing steady growth adding 38,000 people to the city annually. As this number grows so do a lot of problems in the city, namely transit and housing costs. What does this mean for real estate in the city? Given that the population of Toronto is not showing any signs of slowing, the housing sector is surprisingly stable. Furthermore it is expected to remain moderate in future years. Economic Dashbord via the Toronto Real Estate Boatrd (TREB) further details that although the city experience a 9% decrease in housing sales, the city also experiencing a 7% increase in the average price of a home. Thinking about moving to the city? Contemplating moving to the big city can be quite intimidating. Luckily for you Zoocasa has a great Before You Buy section that goes over all of the different aspects of your big move from deciding where to live and what kind of home you are looking, to how much of a mortgage you can afford and what to have in a moving checklist. Check out this excerpt from an article called Moving – Buyer Beware. Moving from one residence to another can be a stressful experience. By its very nature, moving disrupts your life. There are many decisions to be made and many details to be attended to. For some people it can be an overwhelming experience…especially if the move does not go well! Given these truisms, it is sometimes surprising how little thought many consumers give to choosing the right mover. All too often, they wait almost until their closing date to even start the process. Others use “lowest price” as their only criteria when deciding who will be entrusted with everything they own!